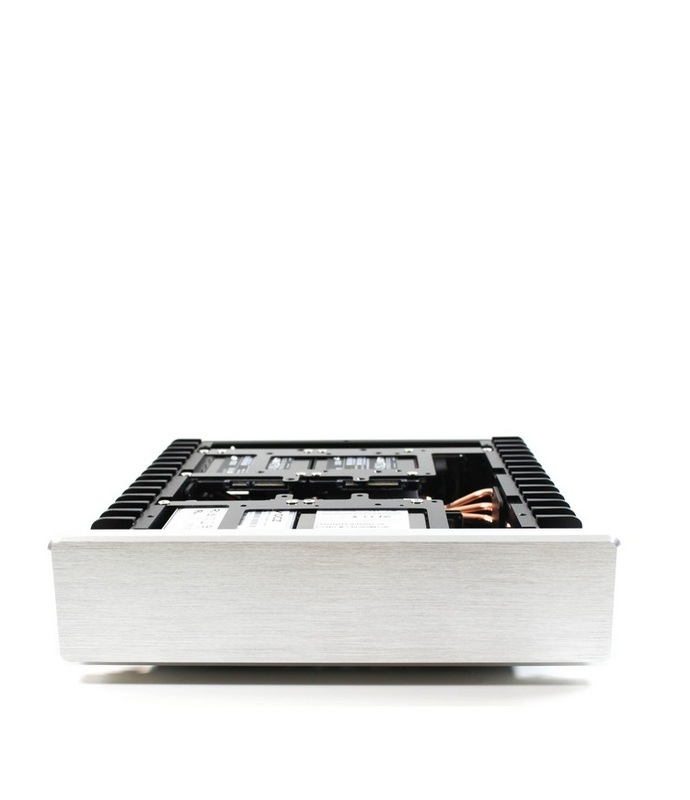 It is a crime to use aluminum base in a passive CPU heatsink system. HDPLEX uses pure solid heavy duty copper base! Eight-heatpipe copper base CPU heatsink system. A flagship achievement. 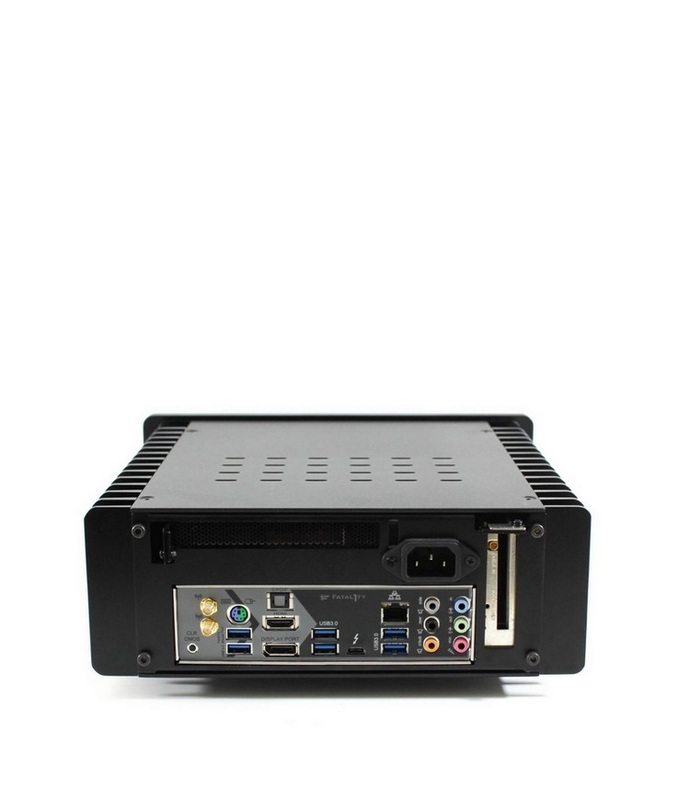 Support passive cooling 95W TDP CPU and passive GPU heatsink system. Multi-rail output and independent grounding design. Hi-End R-Core transformer and ELAN cap. Eight Linear Technology LT30451 Chips for Two Adjustable Rail. EMI/RFI filter grid and MOSFET circuit. All outputs can work simultaneously. 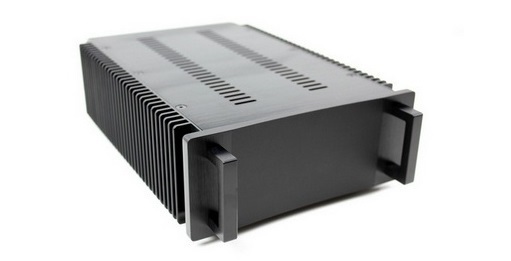 Support 80W TDP CPU via six-heatpipe passive CPU heatsink system. 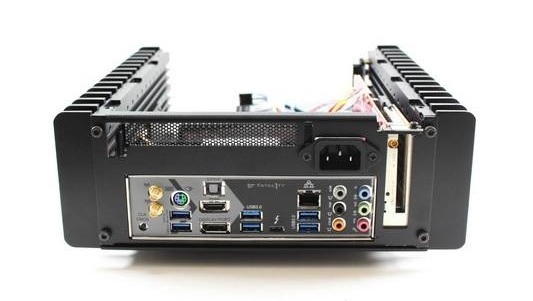 Support single slot full height or half height PCIE Expansion card. 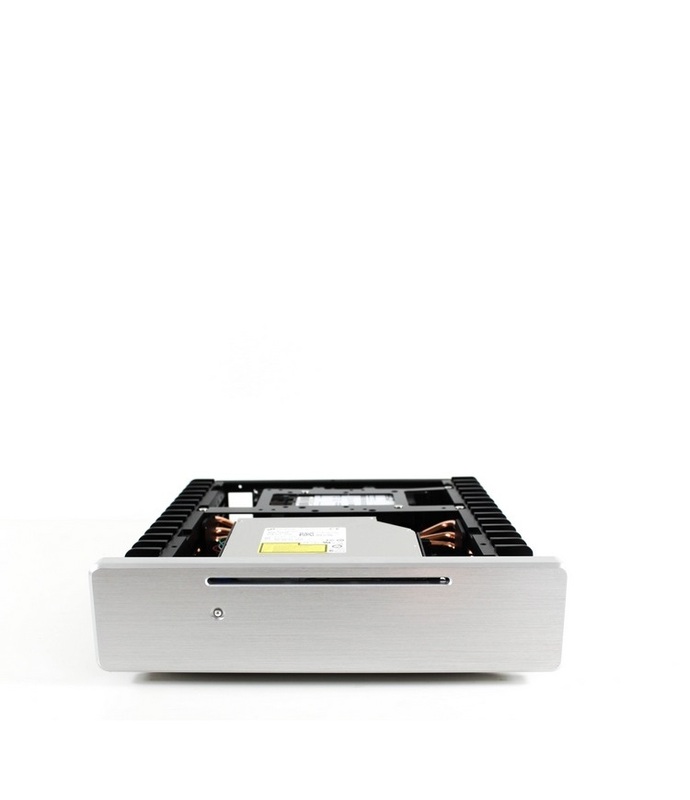 Fully internal Power Supply Soluition. Market leader in DC-ATX section. True 35A with 50A peak for 12V. Monster-size inductors guarantee no coil whine at peak load.